WEDO085 Pink Lily Head Table Arrangement 2 feet [WEDO085] - $0.00 : Hanamo Florist Online Store, Vancouver, BC, Canada, Quality arrangements using a plethora of the freshest flowers. Approx. size : 2 feet wide Picture is a sample and internet order not valid. Prices is seasonal and depending on the market price. 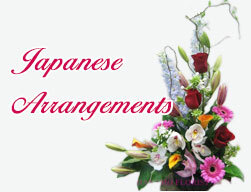 Table centres or church flowers order together can make the bouquet prices lower. Please call Yasu to book your consultation appointment.